HANK PHILLIPPI RYAN: It happened simply by chance. At a convention, someone--who?--had assigned writers a half hour each for booksignings. 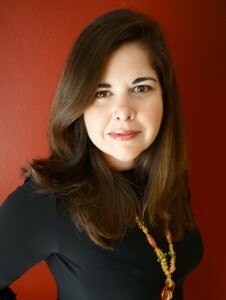 By chance, my signing-mate was Lisa Unger. Lucky me! Of course I knew who she was--a New York Times bestselling author of suspense fiction--dark and scary and psychological and riveting. That’s not exactly what she asked me; I’m paraphrasing. But it was something like that. And this girl, a willowy, shiny-eyed young thing with an intense stare and a suitcase full of questions, really wanted an answer. Of course, my answer was yes. Life -- with all its difficulties and struggles, with all its joys little and big, with all its heartbreak, disappointments and pleasures – is the best and only true writing teacher. Because writing, because story, is life. On a warm late summer evening last week, I sat in a brightly lit room with a group of young writers. They happen to reside at Brookwood, a group home for adolescent girls in St. Petersburg, Florida. They were poets and actors, fiction writers and readers. And we spent the evening talking about the power of the written word. There was something about this place, and I felt it as soon as I arrived. The very building seemed to radiate a kind of light and warmth. Pamela Mesmer, the executive director, met me at the door, along with Sue, the board member who invited me to speak. And the first thing Pam showed me was her office, which was literally wallpapered with photographs of the girls who have passed through the group home over her 34 year tenure. It was the measure of what the folks at Brookwood are working to achieve, to empower young women to take control of their lives, teaching them to create a good and meaningful future for themselves. A poetry class is part of this program of empowerment -- teaching young women how to express themselves in a healthy way. It’s something I can relate to. As a young person, I found a lot of solace in books, and finally as a writer. I didn’t go to Brookwood with an agenda, or with really anything specific to say. I had a couple of thoughts I wanted to share. But I really just went to hang with some young writers, tell them a little bit about what writing had meant to me, and answer the questions they had about craft, process, and the essence of writing and of being a writer. I started off by saying that books and writing filled a void in my life when I was young. My family traveled a lot, so I never fit in anywhere. But on the page, I found a home. I didn’t talk for long before the questions started coming, and the rest of the evening was directed by their thoughts and ideas. One young woman wanted to know if writing was like improvisational acting. And, I answered that it could be. But, for me, it was more like method acting, getting deep inside character and approaching fictional people with compassion and understanding. Another girl wanted to know if you had to go to college to be a writer, if there were any qualifications she must meet. No, I told her. You just have to write. If you put your pen to paper and express yourself there, you’re a writer. Writers just write. We talked about the some of the nuts and bolts of getting published and being published, about writers block, and distractions, and focusing energy. There was little difference in the content and quality of the conversation from any discussion I’ve had with adult writers at the many conferences I’ve attended. But there was a difference. Because these girls were writing only for the sake of writing. At conferences, people fret about publishing and marketing, getting an agent, wonder about advances and word counts. But the girls knew something that some writers never understand. And they knew it long before I got there. There is an awesome power in the written word. Channeling it to create something is a reward in and of itself. The act of finding your voice and narrating your existence –whether you do it through journaling, poetry, or fiction writing -- is a way of claiming your life. And if you can narrate your past, mine your emotions and experiences to understand them better, and create meaning, maybe you can write your future, too. That’s the only thing I really wanted to tell them. But, on a deep level, they already knew. I had some email messages the following morning from Sue Cramer (Sue had invited me to come, and worked patiently with my manic mommy writer schedule until we found a date. It took a year!) and from Jeanne Chase who runs the poetry program at Brookwood. They had so many kind words, and offered their thanks. But the honor and the privilege was mine. And I owe the girls a debt of gratitude for sharing their thoughts and hearts with me. So, thanks, girls. You were amazing, and I loved my time with you. In the business of being a writer, it’s easy to be distracted from the true nature of story. When we write, when we explore character, when draw from our experiences and emotions to tell a story well, we are delving into and trying to understand life. It’s why we write; it’s why people read – not to escape life, but to make sense of it. Young writers know that on an elemental level. They feel it. They’re not writing to sell or to pontificate. They don’t have an agenda for the page, or a fear of not doing something better than anyone else. They are writing for the sake of writing, to create, to express their inner selves. And that’s a beautiful, powerful thing. It’s life. It’s the power of story. The girls of Brookwood have published a book of poetry called Heart Beat, and you can read some of their gorgeous, raw and moving work by visiting http://www.brookwoodflorida.org/HeartBeats.html. HANK:Thanks,Lisa. It's a life-changing thing you did..and those young women will never forget it. Lisa and I are cooking up an event in her neck of the woods someday soon..hurray! But what would you tell a young writer? 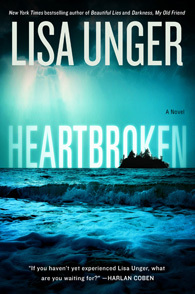 And I have a copy of Lisa's HEARTBROKEN to send to one lucky commenter! I think I would tell a young writer that the power of story isn’t in any of the details . . . it’s in the connection between the writer and the writing, in the sharing of yourself . . . experiences, hopes, dreams . . . because writers leave bits of themselves on the pages that spin out from beneath their pens and those bits of themselves speak to the essence of who and what we are. And that’s what makes the written word so powerful and so compelling. Joan, that's wonderful. And its amazing, too, that sometimes we can't predict what's going to come out! What a terrific post, and thinking about what I'd say to a young writer (rather than an aspiring-to-be-published writer, which is the kind of writer I usually talk to) is a great way to step back from the business side of publishing and just think about writing. I think I'd tell a young writer that writing is all about fearlessness, and emotion. I don't mean overwrought or flowery or superficial emotions, but putting real emotions on the page - even when the result isn't pretty. Writers have to dig deep to find the emotional center of their work, and they also have to be fearless when it comes to conveying those emotions to others. If we're not willing to go to those deep and often dark emotional places, then neither can our readers. I'm a reader not a writer so I have no words of wisdom. Just keep on writing so we can escape to your imagination. And thank you, Lisa, for being a mentor to these young girls. Anytime our lives intersect with a young person we have the opportunity to make a (hopefully) positive impression on her/his life. I bet, years from now, many of those girls will remember you being there with them and something you said to them will resonate. That's a wonderful story--thanks for bringing this to Jungle Red, Hank and Lisa. I will look forward to reading their words. This reminds me of Mark Salzman's TRUE NOTEBOOKS--his book about teaching writing to kids at juvenile hall. Highly recommended! Wow. I just went and read some of the girls' poetry. Brava! And Lisa, welcome to Jungle Red! So happy to see you here. What I'd tell a young writer is to TAKE NOTES. Just write down your thoughts and feelings an what you're up to from time to time, and save it. I wish I had. Oh, take notes. What a good idea. Because it's not just he HAVING the notes, right? It's the observation and writing them down.. I take notes all the time. And I rarely look at them again. Know what I mean? It's the brain-to pen-to paper action that makes it work. What an inspiring post. My advice to a young writer would be to write and keep writing. Ignore all the critics--the ones inside your head and the ones outside in the world--and get your ideas down. What fabulous comments and advice! The girls are truly amazing and spending time with them was an honor. We had a blast! There was a lot of talent in that room. I'm so glad you all have a chance to experience their poetry -- raw, moving and true. I have eight bajillion things to do today, but those poems keep drawing me back in with their power and passion. Thank you. I bookmarked the the page. "Just take notes" is a wonderful starter idea, and so simple. The notes will eventually expand and inspire. Live, feel and dream, plus take notes along the way. This is a terrific post that gets at the power and essence of writing -- in a way we need to remind ourselves of. It's so interesting to read the poems--I keep thinking about this idea that the women were perhaps writing their FIRST poetry. That is quite a step. I also think about how one person--like Lisa--in the right place and at the right time can make such a huge difference in a person's life. It's so profound. And you never know when or where. "I never fit in anywhere. But on the page, I found a home." This so resonated with me, Lisa. And I think it's true of so many of us who read to escape something, or to find a place where we can truly belong, even if only in our own imaginations. Lucky girls, to have your insights and guidance. And lucky girls, to have an environment that encourages them to express their emotions, good and bad, where they might otherwise never had a chance to do so. If there were more programs like this, how could that change the world? Welcome, Lisa! Oh, what a post that's near and dear to my heart! For many years I've worked with at-risk kids in inner-city schools and with kids in juvenile justice centers and group homes, giving writing workshops. When I couldn't spread myself any thinner, I worked with the big writer's center I helped found (20 years ago!) to write grants so many other published writers in KC can do the things I've been doing. Last May, we had a program at The Writers Place that was the culmination of a year-long grant-funded program of afterschool workshops at schools in the most dangerous parts of the city. The kids came to The Writers Place where, after a good breakfast (we always feed them because poor teens are actually more likely to go hungry than their younger siblings--many give up their own food to those younger kids in the family), they had a chance to ask questions of a panel of published authors who'd been working with some of them in the program all year. Then they had a a writing workshop, a good lunch with the writers, another workshop, and finally a public reading that a TV station filmed and showed clips from on the news that night. Two of these kids had survived suicide attempts. Many of them had lost friends and families to gang violence or other criminal violence. Some were struggling throughout the year with substance abuse. Some were being pursued by gangs to "claim." Throughout the year, they'd learned to turn to writing to help them deal with the huge emotional struggles in which they were involved. Like the girls from your group home, Lisa, they created poetry and stories of haunting beauty and emotional complexity. And what that day meant to them! One girl told the TV reporter about her suicide attempt and how she didn't think she could ever do such a thing again because she had found writing and it was something no one could ever take away from her. Lisa, you probably have no idea how much your visit and your willingness to listen really meant to those girls. I do. I've been one of them. I've always said that the reason I didn't wind up drugged out, pimped out, or dead was because of people who reached out to me at critical times who probably thought they failed or didn't have much of an effect. But they're the reason I didn't wind up in an early grave. And there's no way to repay them so I just pay it forward. So, do know that your being there and listening to them and validating them surely made that kind of life difference to at least one of those girls. And now, I'm off the soapbox and out of here. I so do love my Reds!! Thank you, Lisa, for reminding me why I began writing in the first place! In the pursuit of all the outside stuff, I often forget. I'd tell young writers to write through their fears and self-doubts, to feel free to abandon themselves to the page. And I'd tell them that in the doing, they'll achieve their joyous "a-ha" moments. Lisa -- and Hank -- a million thanks. I'm speaking at a writers conference here in MT in two weeks, which will include some h.s. and cmty college students, so I'll be keeping your post and the comments in front of my mind as I prepare. It's all about story -- and heart. And that's so addictive, in a good way, isn't it? When something we write "works" ? Thae ah-ha writing moments Lisa Alber mentions...once you have one, your life changes! This is beautiful - the post, the comments, the poetry. I would tell young writers to let their spirit write. When they don't know what to say, just put the pencil on the paper and allow the thoughts to come out without trying to make any decisions about it. Our inner selves are always thinking and feeling and have something to say. I'd say that writing is a craft, not an art. As in any craft form you only get better with practice. Words are your raw material and you need to practice with them like a potter with clay. Also you need to read. How do you know what a good story feels like until you read the great story tellers? Aw...so lovely to hear from you all...what a nice day here at Jungle Red. and yes, learning to ignore that inner editor..and just let go! Thanks, Lisa, for sharing, and thanks, Hank, for bringing Lisa to JR. I often think about what it was like when I used to write poetry (I started, like these wonderful girls, in my teens) for no other reason than the joy of putting words on paper. And of that first novel, written with no expectations and no agenda other than the pleasure of seeing the story and the characters come to life. So this post was not only great advice for those beginning to write, but a welcome reminder for all of us writers to remember WHY we do this. Such thoughtful, insightful and meaningful comments! I love hearing from all of you, and hearing your heartfelt advice for young writers. Thanks for sharing here, and thanks so much for reading. And THANKS to the fabulous Hank and all the terrific Reds! You made my day! I really enjoyed this post and I bookmarked it so I can read it over and over when I'm asking myself why I write. I've always liked poetry but just discovered a couple years ago that I love writing it. I would tell anyone interested in writing to keep a daily/weekly journal, and to write down things such as thingd that made you smile, frown, cry, or laugh-small things you may not remember. I started my journal after my daughter got married in 2001. I wrote about my days...trouble with close friends, quitting my job, arguments with my husband,the 2004 hurricanes as the winds and rain hit our home(by candlelight), how my cats reacted to the storms-just my personal thoughts and feelings. Not only is this good therapy for you, your family will have a written record of an important part of your life. I think I would tell a young writer that even if you get rejected many times keep trying because it just takes 1 yes. "the honor and the privilege were mine" -- words often spoken by hypocrite politicians. In this case, Lisa's enthusiasm for the work of these girls convinced me she truly had and felt she had gained from the experience. We can all share in that honor by reading the girls' poetry. Believe in yourself. You already have a love of words. Use them. You have something unique to say and the more you write, the better you'll get. Also -- a good writer is born of a good reader. Read lots and lots -- and then read some more. Enjoyed the blog. Already read Heartbroken, but a signed copy would sure be nice! Heather rose! Thank you! You made our day. Be sure to come back, okay? And tomorrow--an author who proves it can happen! Welcome to Jungle Reds, Heather. Are you the Heather whose poems are in the Heartbeats book? Some fine poetry! We're so glad you dropped by. Come again. This is a crazy but fun blog, but occasionally like today it gets serious. Hope to see you back soon. Well, that's a difficult question because I'm only a reader. But, I can say that you need to let your imagination runs freely. Write a story that you want to tell or share to the reader.Do a lot of research about the object of writing. Last thing, ask someone or beta reader to read your story, they will give input and comment. Though sometimes the comment are hurt, but it doesn't mean we stop learning from mistakes. Heather Rose! Thank you so much for writing in, and for your kind words! It meant a lot to me, too. It was a wonderful evening. Wishing you all the best in your life and in your writing! And the winner is: Bonnie! Contact me at h ryan at whdh dot com and tell me your address! Don't let anyone tell you that writing isn't "practical". The "world" accepts and applauds women who exercise, volunteer, and cook delicious, healthy meals. Writing is exercise for the brain, food for the soul, and a gift to anyone that you share your ideas with. Published or not, your writing is a gift to those who read it. I would tell a young writer to write about what interests you, whether it be about zombies, an action story, or a mystery. You can learn how a story comes together from reading or watching movies. Tell us what you want to tell us, not what you think we want to hear!